Our beautiful optical crystal Torch Award features a large torch shape set on a distinctive crystal base. 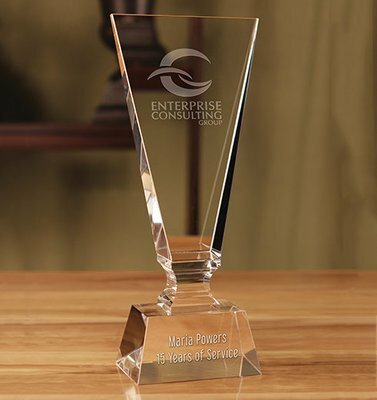 It can be etched with your company name and logo or a short message and comes in two sizes. Your elegant award also comes packaged in an attractive presentation box.